Brandon Thomson (18) could not stop contacting a woman the courts had banned him from contacting. Thomson, 139 Merchiston Avenue, Bainsford, admitted breaching his bail conditions not to see the woman between June 9 and June 30 and behaving in a threatening manner and damaging property on February 25 at an address in Glynwed Court, Falkirk. 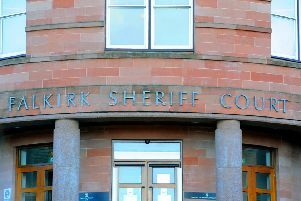 He also behaved in a threatening manner and breached his bail by contacting the woman in Princes Street, Falkirk on April 5. The court heard there was “no chance” of Thomson and the woman in question getting back together. Sentence was deferred on Thomson for three months to see if he could be of good behaviour in that time.